Hoping to get another one done this weekend. Can't wait, I love creating things! I am using the wonderful work of Amy Marie. This kit is called Amy Marie's Hard Rock. You can get this PTU kit here at her blog. Don't forget to leave her some love when you download. The template & elements I used are all in her kit. The tube I am using is the wonderful work of Ismael Rac. You can purchase his work here at his website. To start off, I used Amy Marie's HardRock Template. You will have to remove the copyright before you begin using it. I added RAC's RockHard tube & placed her right in the middle at the bottom of the template. The next few elements, I opened, copied & resized to 20%. Please use my tag as reference as to where to place these elements. The last element to resize is the tophatskull. Open, copy & resize to 40%. Please use my tag as reference as to where to place this element. The last element to add is the musicnotebar. I did not resize this element. It will be placed at the top of the template. Add your copyright & your name. Save as png. The font I used is the Twilight font. The stroke should be set at 1.0. The Foreground is Black & the Background is Paper10 from the kit. I hope you enjoyed this tutorial as much as I did. I LOVE making new things! This is one of Amy Marie's new PTU kits call AM_Kitten. You can get it at Scrappin Naturally, here. I am using the beautiful work of Barbara Jensen. You can purchase her work here at her website. We will be using copy & paste alot, so I will do this : C/P = Copy & Paste. To start off, we will be working with a 600 x 600 transparency canvas. C/P frame2 & resize to 71%. C/P wire1 & resize to 80%. Drag to bottom layer. C/P KittenWordArt & place toward bottom of canvas. Use my tag as reference. C/P your tube. If you are using the Sittin Pretty tube by Barbara Jensen, make sure you have her sitting on top of the T's of the word KITTEN. C/P bubbles2 & rotate 45 degrees to the left & drag down to bottom layer (below the wire layer). C/P pawprint & resize to 20%. Place at top right corner of frame & duplicate & move duplicate above the 'I' in the KITTEN word art. C/P pawchain1, place at top left corner of frame as if it is hanging on the frame. Add your copyright & your name. Save As png file & your done. This is my first time using a Barbara Jensen tube. I hope she likes it & I hope you do too! 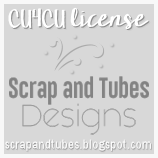 I am using the FTU Mini Punk Kit of Amy Marie. You can get it here. Don't forget to leave some love for Amy! I am using the tube Melancholy by OrkusArt. You can purchase his work here. You can use the tube of your choice. In this tutorial, you will have to use my tag as reference to know where to place the elements. To start off, I opened a new canvas of 600 x 600 with transparency checked. I then, started adding my elements. First element we will add is gems1AmyMariePunkMiniKit. It should go right in the middle of your canvas. Next, add your tube. If you are using the OrkusArt tube that I am, resize to 63%. Shewill fit perfectly inside the gem. Move below gem layer. Next, add the element wire1AmyMariePunkMiniKit. Resize to 95% & move below gem & tube layer. Next, add the element skull4AmyMariePunkMiniKit. Resize to 50% & duplicate. Put one to bottom left corner of gem & take your duplicate & place at the top right hand corner of the gem. Next, add element skull1AmyMariePunkMiniKit. Resize to 50% & duplicate. Put one to the bottom right hand corner of your gem & the duplicate goes at the top left hand corner of your gem. Next, add element lollAmyMariePunkMiniKit2. Position loll2 above skull4 & place below skull4 layer. Duplicate & position both in the middle of the skull. Next, add element lollAmyMariePunkMiniKit1. Position loll1 above skull1 & place below skull1 layer. Duplicate & position both in the middle of the skull. Next, add element starspiarAmyMariePunkMiniKit. Resize to 60% & move down below tube layer. Next, add element flameAmyMariePunkMiniKit. Resize to 60% & this layer should be below your tube layer as well. Next, add element bow2AmyMariePunkMiniKit. Resize to 60% & free rotate 45 degrees to the left & place under the purple skull up on the top left hand side. Duplicate & take duplicate over to the top right corner & flip the bow. Then drag it back to the top & place under pink skull layer on the top right corner. Add your copyright & your name. Save As a png. file. Hope you had fun with this one. I know I did! In this tutorial, I will use Amy Marie's Fall kit. You can get it here. I have chosen to use two of Ismael Rac's tubes. You can get his work here. You can use a mask of your choice. The font I will use is called Adorable. I also used a Word Art from Digital Designs by Vickie.You can get the Word Art here. I will start off with a transparent canvas of 600 x 600. I then applied my mask with Paper 10 from Amy Marie's Fall kit. Next, I copied & pasted my two tubes Naughty Pilgrim & Hot Native Girl & re-sized them to 70%. AM flower6, AM flower 8 & AM flower 9 - re-size to 20%. Duplicate & mirror AM flower 8 & AM flower 9. Place the flowers in the middle of the mask. Use my tag as reference to know where the placement of each element should be. Add your Word Art from Digital Designs by Vickie. Save As for your blank & you done. As I said before the font I used is Adorable. Use 130-118-46 for your foreground (stroke) & use 90-3-0 for your background. Put your stroke at 1. Thank you for trying out my tutorial. Hope you enjoy it! I have used the work of Ismael Rac. You can get this tube on his site here as a free tube in his free tube section. Please make sure that you have a license to use his work. I have used two kits on this tag. The first kit I used is by Bluedream Designs. It's called Bluedream Designs-BCA 2009 & you can get it here as a FTU kit. The second kit I used is by Jo Designz. It's called Brest Cancer Awareness Scrap Kit - Taggers & Full sized - FREEBIE. It's the 3rd one down on the left hand side of the screen & you can get it here. Other Supplies I used came with the tube it's self like the ribbon that says BCA on it. You can use your mask of choice. To start off we will open a new canvas of 600 x 600, make sure transparent is check. I applied my mask first with Paper 9 from the BD-BCA2009 kit from Bluedream Designs. Next, I copied & pasted my tube, BCA_Free_02. I then copied, pasted & mirrored my elements. Next I copied the BCA ribbon from the BCA_Free_02 tube. It is on the BCA layer of the tube. You will copy, paste & duplicate it & move it to the other side of the tube. Use my tag above as reference. Now you can add your copyright & your name. The font I chose for the name ADRIENNE is Impact. I wanted to make sure the pink ribbons showed in the middle of the letters. I made the foreground 203-44-112 & the background is Paper 9 that we used with the mask. Make sure your stroke is at 2. It's about time I start one of these. Hopefully I can get the hang of it soon.